Rhiannon: cosplay enthusiast, loving girlfriend, and waiting for Mia. Mia: Currently lost, and easily distracted. 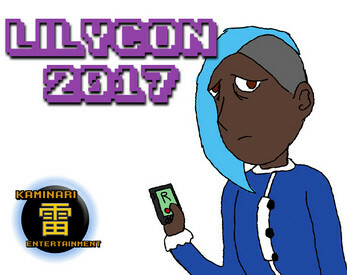 You take the role of Mia, a young woman attending LilyCon 2017, the world's greatest yuri convention. Unfortunately, Mia has no idea where her girlfriend, Rhiannon, is waiting for her. Wander through the convention hall in a manner similar to text-based adventure games of old, as you encounter various distractions that might hinder your progress. Created for Yuri Game Jam 2017.